The Maryland State Police officially launched its DUI prevention taskforce at a press conference in Jessup last week. The taskforce is nicknamed SPIDRE for State Police Impaired Driving Effort, and consists of seven specially trained troopers. These troopers will move throughout the state with the goal of impacting every legal jurisdiction. For now though, the taskforce will concentrate its efforts in areas that law enforcement officials have identified as DUI hotspots. These areas, which are documented to have the most alcohol related crashes and citations, include Prince George’s County, Baltimore County, Howard County, Ocean City, and Hagerstown. The taskforce first deployed in PG County back in May and conducted over 1,300 traffic stops. The trooper team made 254 DUI arrests and 53 criminal arrests, and issued over 3,500 traffic citations and repair orders. Clearly the task force is not shy when it comes it issuing tickets, as they averaged almost 3 per traffic stop. The taskforce will require funding of about $1.5 million, which the Motor Vehicle Administration’s Maryland Highway Safety Office is shelling out in response to the large number of alcohol related crashes on state roads. Last year there were 158 people killing in these crashes and over 3,000 injured. Although theses numbers do not indicate an increase over the yearly average, this is still an extremely high number for a state with such a small total population. 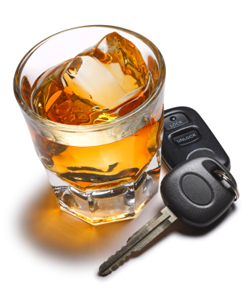 Nearly one third of all motor vehicle accidents are in some way caused or related to alcohol and drug consumption. Whether the SPIDRE task force ends up being successful depends on exactly how you define success. DUI suppression initiatives such as task forces, specially trained teams, and checkpoints will always result in more arrests. The state spends millions and the resources and manpower do end up putting people behind bars. But the ultimate goal of these programs should never be about arrests, but rather about prevention and mitigation. The real question should be whether SPIDRE actually makes our roads safer. Government officials and state police officers will certainly argue that the task force will prevent would be drunk drivers from ever getting behind the wheel. But the impact of 7 troopers driving around various areas of a state with 6 million residents seems negligible at best. Law enforcement agencies enjoy making press releases about new programs with fancy acronyms and, as in this particular case, if it secures $1.5 million in funding then more power to them. But DUI prevention has been and always will be about education. Once an intoxicated driver gets behind the wheel the police have already lost the battle, arrest or no arrest. So residents of Prince George’s county, and in the near future perhaps Baltimore, Howard County, and Ocean City should be on the lookout for one of the seven specially trained troopers. Because there is going to come a time when the state police will ask for another $1.5 million, and you can be sure the troopers are doing everything in their power to prove this task force is worthy of another dose of taxpayer dollars. Benjamin Herbst is a Maryland DUI lawyer who represents adults and juveniles, as well as out of state defendants. Contact Mr. Herbst today for a free consultation 24 hours a day. State Police Debut New DUI Team, carrollcountytimes.com.